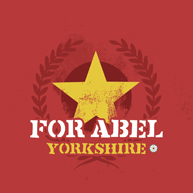 For Abel (formerly known as Nacional) have played Glastonbury, Rockness, SxSW Texas, GoNorth, In The City Manchester and 3 successful U.K tours with Select Booking Agency. They previously released 2 singles on Art Goes Pop. Radio play has included Radio 1, 6 Music, NME and XFM with Steve Lamacq, Vic Galloway, Huw Stephens, Colin Murray, Tom Robinson, Jim Gellatly and Ally McCrae lending support. Press has included Artrocker, The Skinny and Rolling Stone. Sky Sports selected ‘On TV’, track 2 from the single, to soundtrack adverts for live football.